If you’re not happy with your smile and feel self-conscious about your teeth, it can affect your well-being and happiness. Cosmetic dentistry refers to the different treatments that can be used to improve the appearance of your smile. Perhaps you are unhappy with the shape, colour or condition of your teeth? Maybe your teeth are crooked, chipped or have gaps? Whatever your issue, at Parrock Dental our cosmetic dentist will be able to give you a smile makeover in Kent to be proud of! Cosmetic dentistry treatments include cosmetic braces and teeth whitening. You can find out more about these and our affordable payment plans when you click on the links. Here are the other cosmetic dental treatments used in Kent as part of our in our smile makeovers. Dental veneers are thin strips of porcelain which are used to cover the front of the tooth to improve the appearance. This form of cosmetic dentistryis perfect if your teeth are stained, chipped or have other imperfections. The dental veneers are tooth coloured so they look completely natural and they are stain resistant. They can also be used to help close small gaps between teeth as well as help improve minor orthodontic issues. 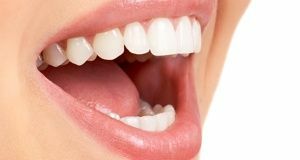 Dental veneers are made bespoke to your teeth and they stick to the front of your tooth, giving them a form of strength and protection. This form of cosmetic dentistry in Kentis popular with many patients because the process is fast and painless. If your teeth have become damaged by decay, they will be repaired with a filling. White fillings are popular because they look more attractive and natural than the traditional silver amalgam fillings. For a smile makeover in Kent, why not ask our cosmetic dentist to replace your silver amalgam fillings with white fillings? Gum contouring is a cosmetic dentistry procedure which changes the shape of your gums. If you have too much gum showing, it can give the effect of a “gummy” smile. In these cases, our cosmetic dentist can cut away your excessive gum tissue to enhance your smile. Gum contouring is performed at the surgery in Kent and lasers are used which means the procedure is very quick. Your gums will feel better in a matter of hours. For more severe cases, we would recommend a surgical lift, and this would involve using a local anaesthetic. The healing time in this process would be longer, taking a few months. Book a free consultation to discuss gum contouring options with our cosmetic dentist at our Kent surgery. 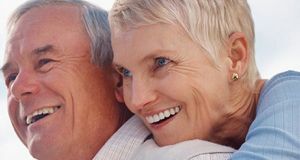 If your teeth are chipped, discoloured, broken or uneven, they can be fixed using a couple of cosmetic dentistry treatments which are quick and painless. Teeth contouring is a good way to treat rough edges or uneven teeth. The teeth are gently filed to give them a smoother, neater appearance. Composite bonding uses a tooth-coloured resin which is applied to the tooth to improve the appearance for teeth re-shaping. 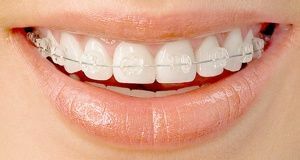 Composite bonding is popular because it is perhaps the easiest and least expensive form of cosmetic dentistry used to help chipped, fractured, decayed or discoloured teeth. It is a good short-term fix which can be completed in one visit at the Kent surgery. A longer-term solution would be to have dental veneers which are custom fitted to your teeth, long lasting and stain resistant. If you’re searching for a “cosmetic dentist near me,” give Parrock Dental a call and book a free consultation. We can talk through your cosmetic dentistry options and give you a smile makeover with amazing results!